One of the goals believers want to reach is entering paradise, because the Quran commands people to race to enter paradise. “Be quick in the race for forgiveness your Lord, and for a Garden whose width is that (of the whole) of the heavens and of the earth, prepared for the righteous” (Al-i Imran 3/133). “Not equal among you are those who spent (freely) and fought before the Victory, (with those who did so later). Those are higher in rank than those who spent (freely) and fought afterwards. But to all has God promised a goodly (reward). And God is well acquainted with all that ye do” (Al-Hadid, 57/10). As is clearly seen in this verse, Allah promises Heaven to all the Companions. Just as the Companions, who had many admirable traits, were given the good news of Paradise in general, there are also those who were promised Heaven individually while here on earth. The term Ashara Mubashara (the ten who were promised Paradise) designates those who were given these glad tidings by the Prophet Muhammad (pbuh) while they were living in this world. In addition to the term “Ashara Mubashara,” the phrase with the same meaning – “al-Mubashara bil-Jannah” – was also used. They are: Abu Bakr (634), Umar (643), Uthman (655), Ali (660), Talha (656), Zubayr (656), Abdurrahman ibn Awf (652), Sa’d (674), Said ibn Zayd (671), Abu Ubayy (639). The names of these Companions were mentioned in hadith and were, thus, fixed. Generally, when the Companions of the Prophet, particularly the Noble Companions, are evaluated, it will be seen that this situation is very natural in respect to general Islamic principles. From the Banu Taym tribe which held an important position in Mecca, was involved in trade, had social connections and broad culture, Abu Bakr’s genealogy meets with Muhammad (pbuh) in Murra b. Kab. His mother’s name is Ummul-Hayr Selma and his father’s name is Abu Quhafah. From the Meccan notables, his father saw Abu Bakr’s caliphate and death. According to Aisha’s narration, Abu Bakr, who had remained at the Prophet’s side for thirteen years in Mecca, began to cry joy when he received the command the Prophet to emigrate and learned that they would migrate together. He opened war on false prophets and those who said, “We pray, but we won’t give the poor tax.” He suppressed rebellions in Bahrain, Umman, Yemen, and Muhra. He added Hira, Ajnadin and Anbar to the Islamic world by means of war during his reign, Iraq was conquered and important cities in Syria were taken. Abu Bakr died while the Yarmuk War continued. The Second Righteous Caliph, he was one of the Companions closest to the Prophet in his struggle for Unity in an attempt to spread Islam and make it reign in this world. Umar’s sobriquet was “Faruq,” which means the one who discriminates between right and wrong. Sources do not give much information regarding Umar’s life before he became Muslim. However, it is known that in his childhood he shepherded his father’s animals and that later he became involved in trade. Umar accompanied trade caravans going towards Syria. Among the notables of Mecca during the Age of Ignorance, he handled the duty of envoy for the city of Mecca’s government. When a war broke out, Umar would be sent as envoy to the other side and, upon his return, action would be taken according to the information and opinion he gave. In addition, he played an effective role in the resolution of conflict among tribes and the decisions he made were binding. Deciding to kill the Prophet Muhammad (pbuh), Umar girthed his sword and set out to kill him. However, when he learned that his sister and her husband had entered the new religion, he went to them first and, affected by the Quranic verses they read, he accepted Islam in the 6th year of the Prophet’s apostleship. When Abu Bakr understood that he was going to die, he thought about appointing Umar as caliph to himself and, revealing this idea, he consulted some of the Companions. When everyone approved of Umar’s being caliph, he became the second Islamic caliph. He was stabbed by a non-Muslim slave and he died three days after this event. A member of Banu Omayya, his genealogy connects with the Prophet in his fifth grandfather Abdi Menaf. His mother is Arwa binti Qurayz b. Rabia b. Habib b. Abdi Shams. His grandmother is the Prophet’s aunt Beyda, the daughter of Abdulmuttalib. He was married with two of the Prophet’s daughters. After Ruqayya died in the year 2 H., he married Umm Kulthum. His son Ruqayya, Abdullah, died in 4 H. at the age of six. Later he married women with the names: Fahita b. Gazwan, Umm Amr binti Jundub, Umm Benin binti Uyayna and Naila. From Umm Amr binti Jundub he had children named Amr, Halid, Aban, Umar, and Mariam; with Umm Benin binti Uyayna he had a child named Abdulmelik. The most well-known among these is his son, Aban. There is scarce information in sources regarding Uthman’s life before he became Muslim. He was busy with trade in his youth. Due to his honesty in trade transactions, he was famous for this among the people. Uthman ibn Affan became Muslim at the invitation of Abu Bakr’s. Due to his wife Ruqayya’s serious illness, Uthman did not join the Badr battle with the Prophet’s permission. Except for Badr, he fought in all the battles made with the idolaters and the enemies of Islam. Ali was born twenty years before the Migration. He was the youngest son of Abu Talib, the Prophet’s uncle. His patronymic was Abu Hasan or Abu Turab. 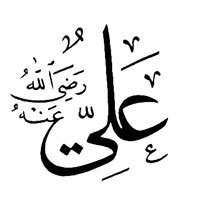 Ali was the son of the Prophet’s uncle, Abu Talib. Ali’s mother became Muslim after the death of her husband and migrated to Medina. When she died, the Prophet sent his blessed clothing and commanded that it be used as her winding sheet. Ali had 14 sons and 9 daughters. Among these Hasan, Husain, Zainab and Umm Kulthum were the Prophet’s daughter, Fatima. While Fatima was alive, Ali did not take a second wife. His other marriages occurred after her death. Ali was of short-medium height, with dark skin, large black eyes and a thick and broad beard. According to Sawade ibn Hazala’s description, he once used henna on his beard, but later left it in its natural state. The Prophet Muhammad (pbuh) invited members of the Banu Hashim to his house in order to explain Islam to them. After dinner he said, “Hey, sons of Abdulmuttalib. I have been sent to mankind and you in particular. Who among you will pledge allegiance to me as a brother and friend?” Only Ali stood up and gave his allegiance as the Prophet asked. Before the Prophet migrated, he left some items that he had taken in trust with Ali to return to their owners. Then that night Ali slept in the Prophet’s bed and surprised the unbelievers. After that he migrated to Medina, too. After the Migration he was always at the side of the Prophet and participated in all the battles. He was among those who kept vigil in his room while the Prophet was dying. When Abu Bakr was elected caliph, Ali was in the Prophet’s room swathing his corpse. During Umar’s reign, Ali handled all the legal matters, serving like the chief justice of the Islamic state. Although he was not very happy with the administrative approach during Uthman’s caliphate, he informed Uthman of the complaints coming various regions of the Islamic state and he made recommendations for their resolution. He did what he could to keep at bay those besieging Uthman. After Uthman’s martyrdom, prominent individuals pledged their allegiance to Ali. When he became caliph he was confronted with many problems that needed to be solved. This confusion gave birth to internal conflict like Jemel and Siffin. Great sacrifice and effort were shown to resolve the disputes within the Islamic state. Because he was constantly at the side of the Prophet, he was advanced in Tafsir, Hadith and Fikih. In fact, in the Prophet’s words he was the “gate to the city of knowledge,” the most knowledgeable of the community. 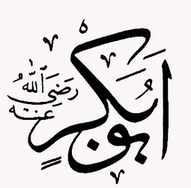 Abdurrahman, who entered Islam during the days of activity in Arkam’s house, was given this name by the Prophet. Abdurrahman b. Awf began trading in the Medina market and Allah gave him great wealth. Known as one of the most generous Companions, Abdurrahman b. Awf made great contributions in Allah’s path to many military expeditions, particular the Tabuk expedition. When he became very old during Uthman’s time, Abdurrahman lived a very quiet life and finally died in Medina in the year 32 H.
Mentioned with the sobriquet “Custodian of the Ummah,” he is one of the first Muslims and one of the Ashara Mubashara. His original name was Amir ibn Abdullah ibn al-Jarrah. He is the Banu Fihr of the Quraish tribe. His genealogy connects with the Prophet’s genealogy in their forefather Fihr. Abu Ubaidah became Muslim by means of Abu Bakr’s invitation or by going to the Prophet with his friends under the leadership of Uthman ibn Maz. He was among the second convoy of immigrants to Abyssinia. Like the other great Companions, Abu Ubaidah participated in all the military expeditions. He was always at the Prophet’s side in the conquest of Mecca, the siege of Taif, and the Farewell Pilgrimage. During the jihad activities in Umar’s time Abu Ubaidah ibn Jarrah participated in the conquests in the Syria region which began during Abu Bakr’s caliphate, and he served as a commander. He became ill during the plague in Syria, Egypt and Iraq historically called the Amwas Tauna, and he died. Sa’d ibn Abi Waqqas Malik ibn Wuhayb ibn Abdi Menaf ibn Zuhra. His father was Malik ibn Wuhayb. His patronymic being Abi Waqqas, Sa’d was called Ibn Abi Waqqas due to it. Because the Prophet’s mother was the Banu Zuhra, his genealogy meets the Prophet’s on his mother’s side. Sa’d’s mother was Hamene binti Sufyan ibn Umayya. Sa’d was one of the first to accept the Islamic faith. He remained in Mecca until the migration to Medina. Sa’d (ra) died in the Aqiq valley outside of Medina where he was residing in the year of 55 H.
His father was Zayd ibn Amr and his genealogy meets with the Prophet’s in Ka’b. His patronymic was Abul-A’var. He was also called Abu Tur. His mother was Fatima binti Ba’ja. His father Zayd belonged to the Haneef religion of Abraham. He was married to Umar’s sister Fatima. With the exception of Badr, Said ibn Zayd participated in the battle at Uhud, the Ditch and all other battles. Said spent the last days of his life on his farm in the Aqiq valley outside of Medina and, surpassing the age of seventy, he died in 50 or 51 H.
Talha ibn Ubaydullah ibn Uthman ibn Amr ibn Sa’d ibn Taym ibn Murra ibn Qatb ibn Lueyy ibn Galib al Qurasi at-Taymi. His patronymic was Abu Muhammad. He was killed at the Battle of the Camel by Marwan ibn Hakam. It is estimated that he was between 60-64 years of age at the time of his death. Talha was the Prophet Muhammad’s (pbuh) brother-in-law. Four of his wives were the sisters of the Prophet’s wives. 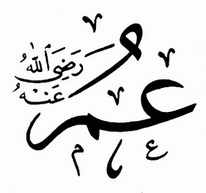 Zubayr ibn al-Awwam ibn Khuwaylid ibn Asad ibn Abdil-Uzza ibn Qusayy ibn Qilab ibn Murra ibn Ka’b ibn Lueyy al-Qurasi al Asadi. He was called “Abu Abdullah” because of his oldest son Abdullah. He was the Prophet’s friend and disciple and, at the same time, the son of his aunt Safiyyah binti Abdulmuttalib. 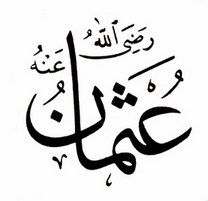 After Umar’s death he was one of the 6-member council established to make the election of the caliph. His mother called him “Abu-t-Tahir.” However, Zubayr was known by the patronymic of his son Abdullah. He fought in the battle of Siffin; however, he later left the war. On the road to Medina when he came to water belonging to the Tamim tribe, Amr ibn Jarmouz began to follow him. He killed Zubayr at a place called the Siba Valley.